"Want to know what the pros have been using? Well it’s no secret, get you some Barts!" Bartolini Pickups/Electronics: Bartolini HR 5.4AP preamp, Gibson Tobias Renegade custom Barts, MTD Kingston Z6 custom barts, MTD Kingston Super 5 custom Barts, MTD Kingston Andrew Gouche 5 custom Barts, MTD Kingston ZX custom Barts. As a musician, it’s important to listen and to be consistent with your output to maintain your positioning in the industry, when those two things align with virtuoso playing, well then that’s what you get with Bartolini’s Elon “Tone” John. 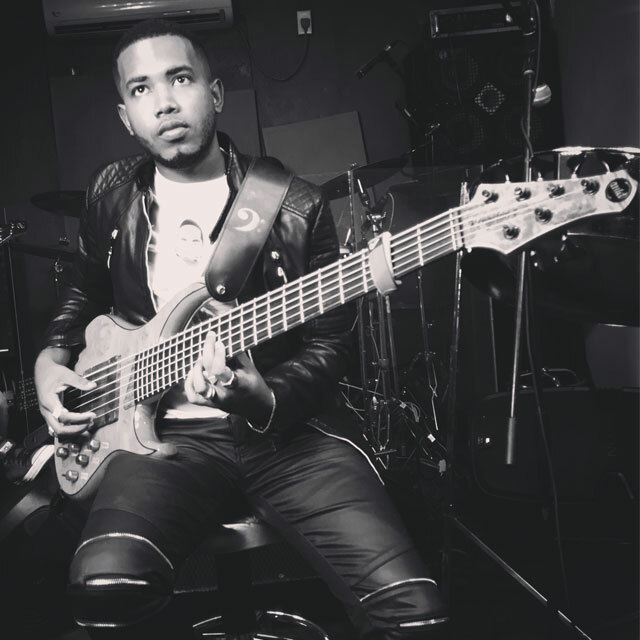 Being a bass player & producer, he is based in the twin island republic of Trinidad and Tobago and has worked with numerous bands, ensembles, artists. “Tone” started playing bass in his early teens and has a household name as a well-established musician. He is the director of BlueLine Entertainment and founder/producer at BlueLine Records. He has been using Bartolini pickups and electronics for over 10 years and presently owns several basses which must be outfitted with Barts. His playing style is a lovely and varied blend that incorporates elements of R&B, Gospel and Calypso which makes Bartolini’s wide tonal range perfectly suited to meet his needs. His schedule can be really busy but he’s still able to attend to his family duties and responsibilities to his wife and son (he actually spends time making music with his son; T’Jay Dorian John). Tone is really content with the pickups and preamps he has been using over the years and takes pride in being part of the Bartolini family. Tone's words say it all. "Bartolini has a distinct & detailed sound that you can recognize a mile away from a venue and I am proud to say that it has made a huge contribution to the establishment of my household name; “Tone”. Not to mention the sleek design and that “feel good” sound that a lot of bass players may spend a lengthy time searching for elsewhere. I spent 3 years trying various brands of pickups and finally used Bartolini at the age of 15. At that moment, I realized that Bartolini will play a huge role in me finding my signature sound, something that will stand out from the ordinary. Want to know what the pros have been using? Well it’s no secret, get you some Barts!"